A Celebration of finished project, and a selection of good cheeses and salamis was good enough reason to open up a nice Barolo. Well, to be honest, there`s always a good enough reasons to open up Barolos:). Maria Teresa Mascarello makes, in my opinion, one of the best and purest Dolcettos in Piemonte. Also, their Barberas and basic Nebbiolos are highly delicious. 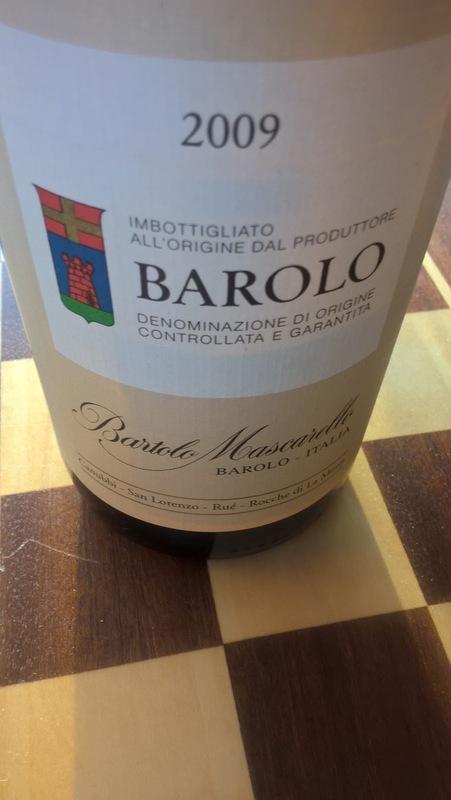 All in all, Bartolo Mascarello is truly one of the beacons of Langhe winemaking. But the reputation, of course, comes from Barolos. Mascarello has become almost a synonym for a staunch and uncompromisingly traditional Barolos. Low yields, traditional Bottis and long maceration are self-evident; but also their decision to make blended Barolos, rather than focusing on specific "Crus", as the rising trend has been in Barolo in recent years, is a choice of tradition, a way the Barolos were made time immemorial. This Barolo is a blend of Canubbi, San Lorenzo, Rue and Rocche di Annunziata. tar, leather, and red berry compote with loads of earthy, smoky and herbal undertones. On the palate hauntingly nuanced, earthy and savory. Burgundian. There`s a kind of lightness of being, almost playfulness here, a phenomenal combination of elegance and power. Though the fruit is focused and delicious, earthiness is definitely the dominant element. Tannins and acidity are surprisingly integrated. Long long, earthy, and almost salty aftertaste of liquorice. tar and Cuban Cigars..